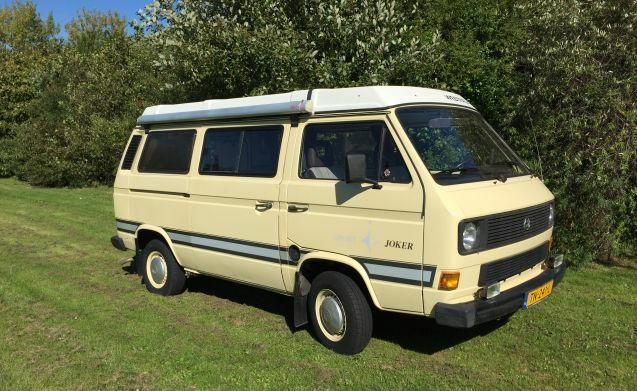 Classic Volkswagen T3 Westfalia Joker 4-person camper van! 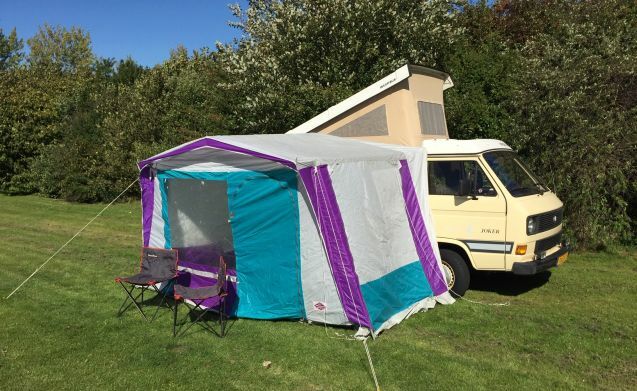 Go back to the 80's in this original Westafalia Sport Joker camper van. This fine driving Volkswagen T3 is due to its compact dimensions easy to handle and fits the most spots and yet surprisingly spacious inside. 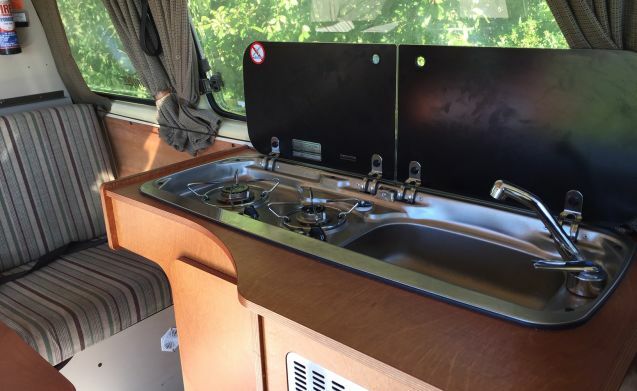 The camper bus offers sleeping accommodation for 4 people. 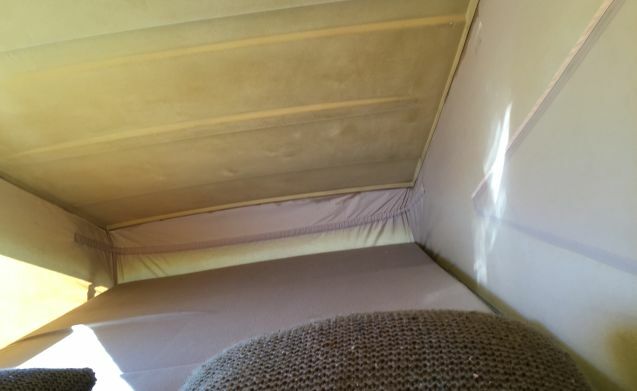 Two on the lower bed, folding sofa (size 122 x 188 cm) and two under the folding roof (size 120 x 185 cm). 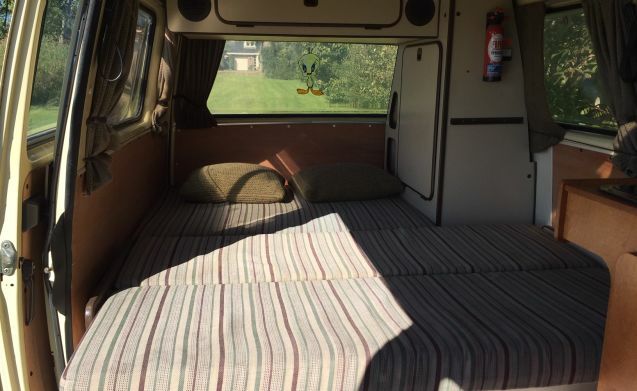 The lower bed can possibly be extended by about 50 cm by moving the hocker. The interior is simple and smart. With the rotatable passenger seat a good space is created, the dining table is removable. 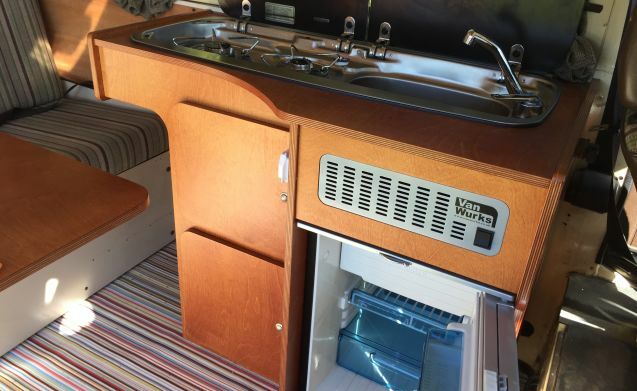 There is a small electric refrigerator, two gas burners, a sink with electric tap. Of course there is a decent kitchen equipment so you can prepare your own meals. 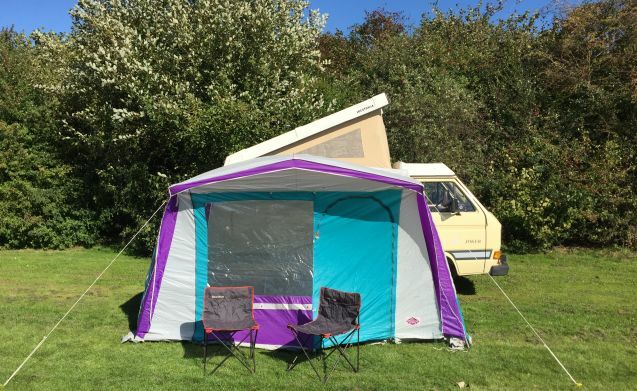 The camper has a canopy and possibly also the separate camper tent can be set up, also useful to 'mark' your spot on the campsite. 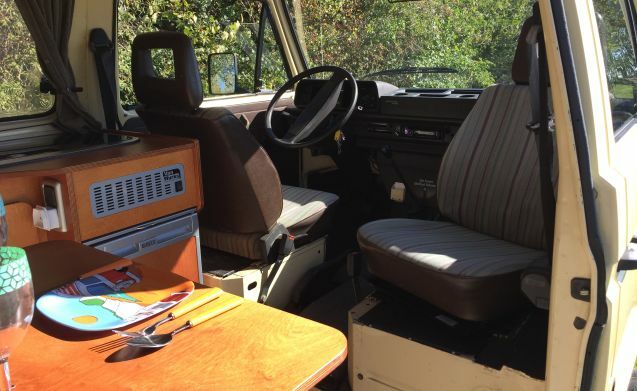 Driving with the T3 bus is quite comfortable for a car from 1986. The engine is water-cooled, very comfortable in the mountains, and also has that distinctive boxer engine sound. He runs on normal petrol, which is nice to enter cities with environmental zones. Nostalgia (re) experience? 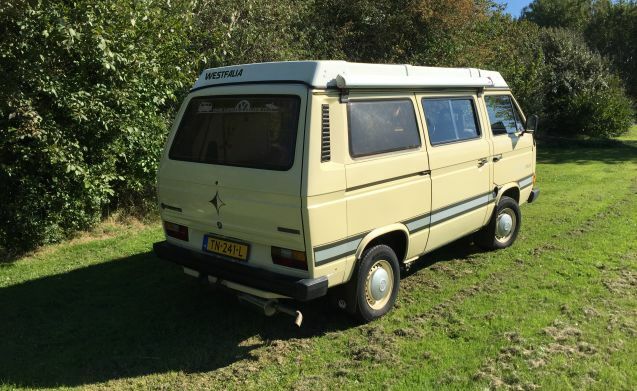 With this Westy you can! Would you like to take a look, set off with this camper or have any questions? 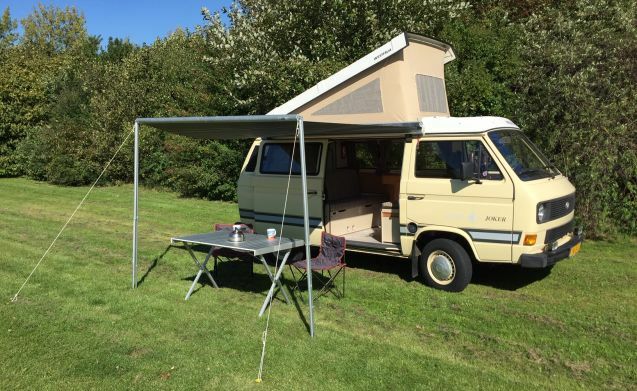 Feel free to contact me, I would like to tell you more about our camper!